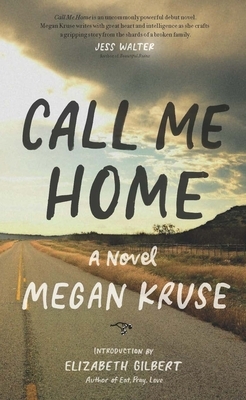 Call Me Home has an epic scope in the tradition of Louise Erdrich's The Plague of Doves or Marilynne Robinson's Housekeeping and braids the stories of a family in three distinct voices: Amy, who leaves her Texas home at 19 to start a new life with a man she barely knows, and her two children, Jackson and Lydia, who are rocked by their parents' abusive relationship. When Amy is forced to bargain for the safety of one child over the other, she must retrace the steps in the life she has chosen. Jackson, 18 and made visible by his sexuality, leaves home and eventually finds work on a construction crew in the Idaho mountains, where he begins a potentially ruinous affair with Don, the married foreman of his crew. Lydia, his 12-year-old sister, returns with her mother to Texas, struggling to understand what she perceives to be her mother's selfishness. At its heart, this is a novel about family, our choices and how we come to live with them, what it means to be queer in the rural West, and the changing idea of home. Megan Kruse is a fiction and creative nonfiction writer from the Pacific Northwest. She studied creative writing at Oberlin College and earned her MFA at the University of Montana, where she was awarded a Bertha Morton scholarship. Her creative writing has appeared in Narrative Magazine, The Sun, Witness Magazine, Thumbnail Magazine, Bellingham Review, and Phoebe, among others. She lives in Seattle. Elizabeth Gilbert is an American author, essayist, short story writer, biographer, novelist and memoirist. She is best known for her 2006 memoir, Eat, Pray, Love, which spent 199 weeks on the New York Times bestseller list, and was also made into a film by the same name. She lives in Frenchtown, NJ.